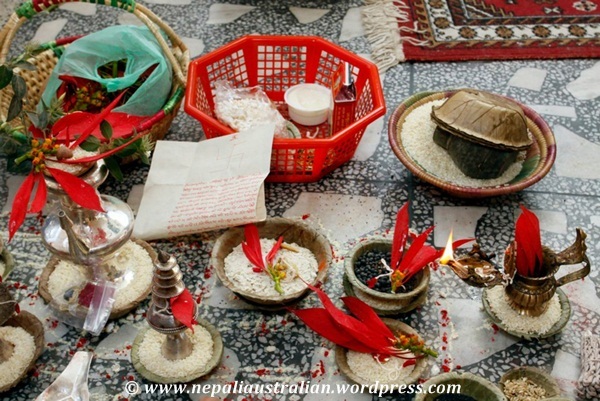 As I told you before the main reason we went to Nepal this time was because my nephew was having his Pasni ceremony. 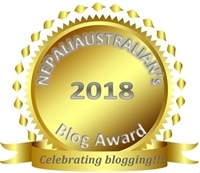 My brother, SIL and the little one had gone to Nepal a week before us to prepare for the ceremony. Me and AS landed 10 days before the ceremony and all we did until the ceremony was to prepare for it. AS I am married now we need to take gifts for everyone which included little nephew, my brother, my mum, my aunty and uncle (they being the head of our family) as well. So we were shopping for the first 7 days straight. Also my mum and SIL had to give saris to all our relatives so I went with them to buy the saris. Saris seem to be so expensive so we had to increase our budget significantly to get the type of sari we wanted. After going to a few saris shops, finally we were happy with a sari and luckily they had 35 pieces of them so we just took them all. Also we needed to buy Pasni outfit for the little one which took another hour as there were so many choices. 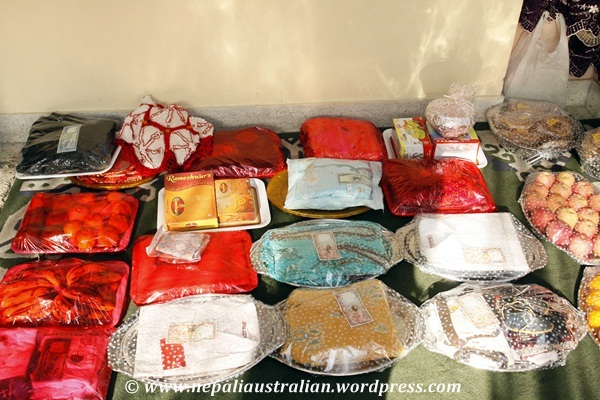 We went to many shops and after many days we managed to buy everything we needed for the ceremony. As I was living at my new home, I needed to go to my parent’s house whenever required to help my parents to organise the ceremony which kept me busy as well, traveling back and forth. Once everything was set at my parents end, it was my time to help my MIL for the ceremony. 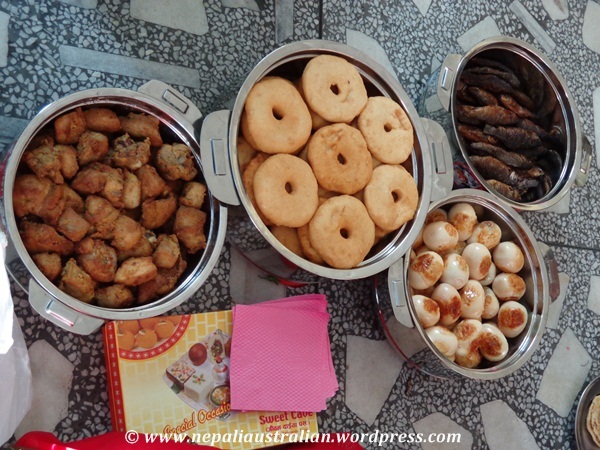 We needed to take Sagun (eggs, bara, chicken, fish, yogurt) for the day along with gifts from my new home. So the day before the ceremony, the whole day I and my MIL were in kitchen making bara, chicken, fish and other items. We also went out and bought rotis and fruits. My BIL and AS helped to wrap all the trays beautifully with wrapping paper and bows. Finally, the morning of the Pasni ceremony, me and AS left for my parents’ house early in the morning to help around. My in-laws were coming in few hours later. When I reached there, most of our relatives were already there. Everyone seemed to be busy doing one thing or other. I help my mum and SIL to get ready. 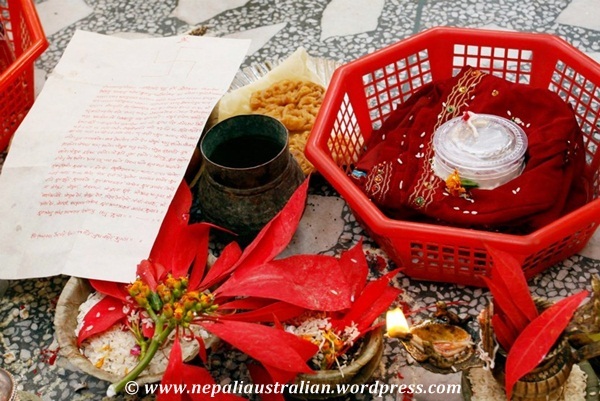 The auspicious time (saayit) chosen by an astrologer for Pasni was 9.45 am so around 9.30, the priest started making preparation for the puja. This puja is performed so that baby can taste all kinds of food. Although this is a centuries old tradition, modern science has also established the fact that child’s digestive system is capable of processing solid food when they are approximately 6 months old. Normally, the baby needs to have a bath but as it was winter, we just cleaned the little man and he wore new cloths. He sat in his mum’s lap with his dad beside her and the ceremony began. My aunt started the puja with the help of the priest. The first step was to worship Lord Ganesh and sukunda and all the gods. Then she put tika on the forehead of the baby, and he was given a special outfit which was made of silk in red colour (Taas) embroidered with golden threads along with gold ornaments like chain, earrings, bangles and silver ornaments like anklets (kalli) carved with dragon at both the ends to keep the bad omens at bay. He was also given a tray of stuffs like books symbolising learning, jewels symbolising wealth, a pen symbolising wisdom, clay symbolising property, food items symbolising a love for food. When the tray was given to him, the first thing he touched was a book so we are hoping he will be a big scholar one day. 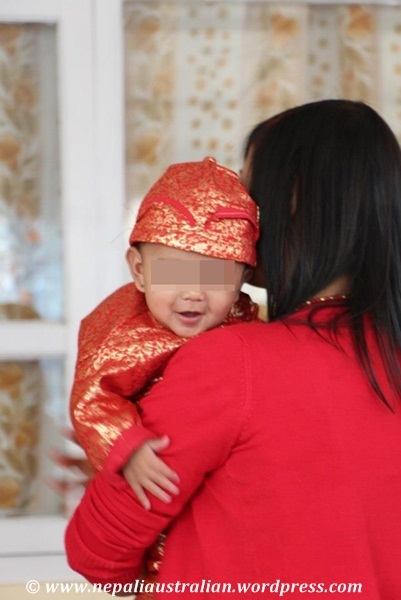 The priest asked the baby to be changed into the special outfit so I helped my SIL to change the baby into the red Taas outfit. He was really happy to play with us while we were changing him. We also put golden chain, bracelets and anklets on him but he cried a lot when we exchanged the earing he had on, on his recently pierced ears with the gold earring. I felt so bad that he was crying because it hurt but after a while he was ok.
Again, my nephew, SIL and my brother sat down to continue the puja. The next step was to feed him his first solid food. 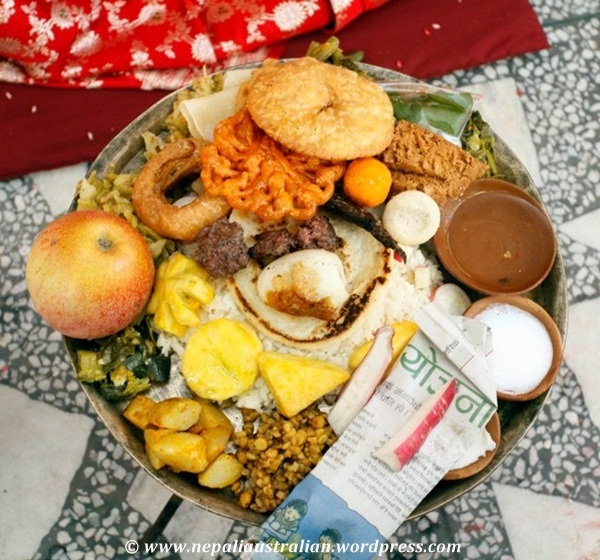 As per our newari custom, it was Thaa Bu (Big plate with rice, eggs, yogurt, wine, fruits, Roti, meat, fish, vegetables and much more). Of course the little one is not going to eat everything but he got to taste salty food for the first time. After that it was my parents turn to feed the baby. Then it was my turn to give sagun. By then my MIL had arrived with my FIL. So I helped my MIL to give sagun to everyone. All the work we had done was for that moment. We stared with my nephew followed my SIL, my brother, my aunt, my uncle, my dad and my mum. Then we gave sagun to all the family members. We also gave the clothes we had bought for everyone. Then my SIL’s parents gave their sagun followed my aunties and other family members. Everyone gave my nephew clothes and jewelleries. Once everyone was done, my SIL’s maternal uncle put tika and garland on the baby and took the baby from my SIL. Everyone took some sindoor, rice and flower and threw it towards my nephew so the maternal uncle could now take the baby outside for a temple visit. With the help of the priest, we took the baby to all the nearby temples and did some puja. It took almost an hour so when we came back home, the little one was so tired, he was fast asleep. By the time we returned home, lunch was ready in the party place nearby so all of us went there for lunch. Before the lunch, we took family photos and lots of photos of the little man. He looked amazing in the red outfit and was smiling a lot enjoying his big day. 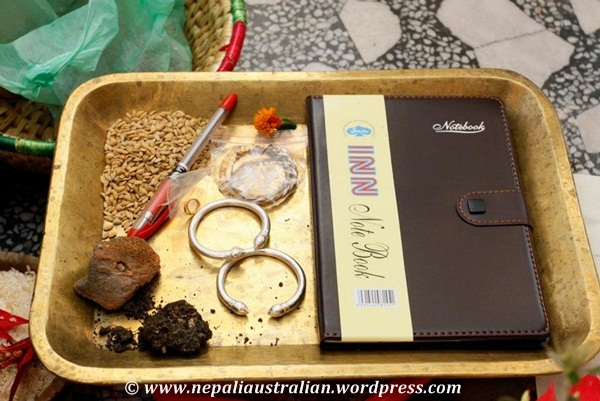 My parents and my SIL’s parents were really pleased to witness their only grandson’s pasni in Nepal. By the time we finished eating. We had less than four hours left for the guests to arrive for the Pasni party in the evening. I will write more about the Pasni party in my next post. 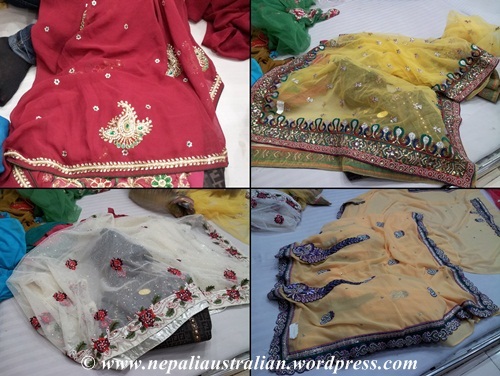 This entry was posted in Nepal 2012 / 2013, Nepali Culture, Newari Culture and tagged Pasni dress, Pasni in Nepal, Pasni Puja, special dress for Pasni, taas dress, Tass outfit for kids for pasni, Thaa bu for pasni, what do you need for Pasni. Bookmark the permalink.